Yes, an imperative reform in Puntland Administration is obvious to all and urgently needed. But, where do we start? Fix these two sectors, and Puntland would leap forward fast. Finance and Security sectors constitute half of Puntland’s entire problems. Take first, Puntland Ministry of Finance where the management and personnel are on the same jobs for twenty years with 19th century rudimentary knowledge of financial management and that compounded strengthened by their chronic resistance to change, upgrade and reform. It is not an exaggeration – I worked with them as Puntland Chief of Staff at State Presidency during the first three years of Puntland foundation 1998-2002. How did they stay that long on the same job? That is their most guarded secret. What is it? The Ministry’s Top Management Team had developed and fine-tuned special skills to make sure that every incoming Puntland President and the new Minister of Finance are happy by providing them with unchecked and unaccounted access to personal funds. But, if that is an open secret, why didn’t Puntland successive regimes do something about it? Good question! Have you heard the Somali word “Madax-ka-nool referring to Puntland governance?” Yes, you guessed – the President is everything in Puntland. He is the country’s minister of finance and cashier-general at the same time. He can buy everybody, including the members of the House of Representatives (the Parliament). Then who would check the powers of the President? You tell me. With the financial muscle of the Ministry of Finance he owns the country and its people. You would say that is an exaggeration. You are free to carry out your own enquiries and independent investigations. But, don’t forget to share your findings with me. But, that is not all. The top management of Puntland Ministry of Finance is the main obstacle and reason why international agencies and world financial institutions are unable to assist Puntland due to Ministry’s lack of transparency and financial accountability. The Ministry keeps secret even Puntland real revenue and expenses. This has created a situation where world community doesn’t know not only how to help Puntland in development projects, budget supplements and personnel capacity-building, but also how to work with the authorities. Puntland books are closed and they are Ministry’s Top Secrets. 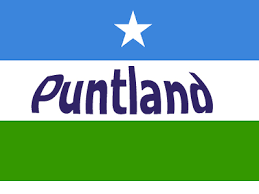 So to move Puntanf forward, I would say reform immediately that Ministry, the Finance, and people of Puntland are half free. Take Security Sector second, and you would discover the hard facts that nobody knows, even approximately, the number of men and women working or attached to that sector, forget about their training, quality, incapacitation, mortality or even whether the names in ghost lists exist, or ever existed. How do you allocate resources, wages, pay etc? How do organizations in the security sector could assist Puntland improve its security needs? Yes, it is easy to blame others for your failures? But above all, how do you defend your country when your lists of forces are ghost soldiers? That is why you hear calls for clan militia support whenever Puntland security is threatened. These are the two critical sectors that require an urgent and radical reform, but the problems described above extend to other sectors and state departments as well. Mr. Warsame is a writer and political analyst, mainly interested in regional states of Somalia and Somalia’s past insurgency against Barre’s regime. Warsame is one of the Key Founders of Puntland State of Somalia and the first Chief of Staff of its Presidency from1998-2004.